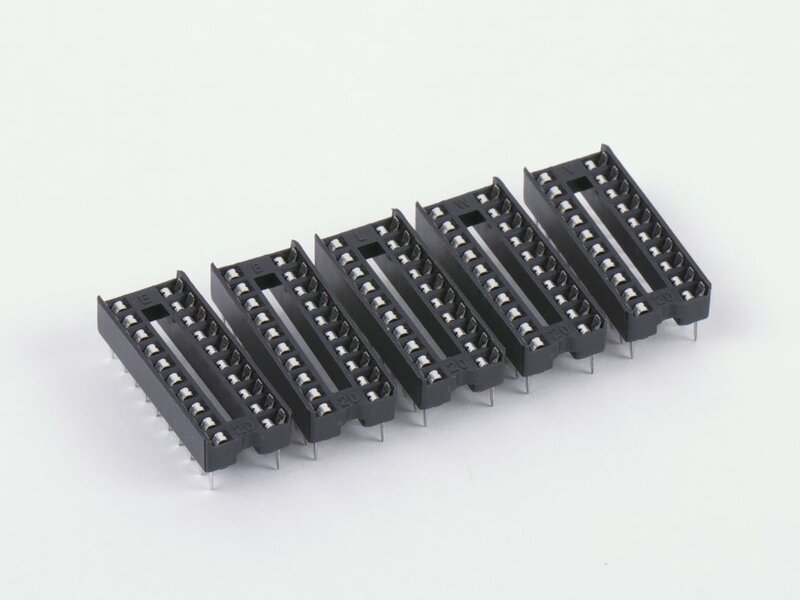 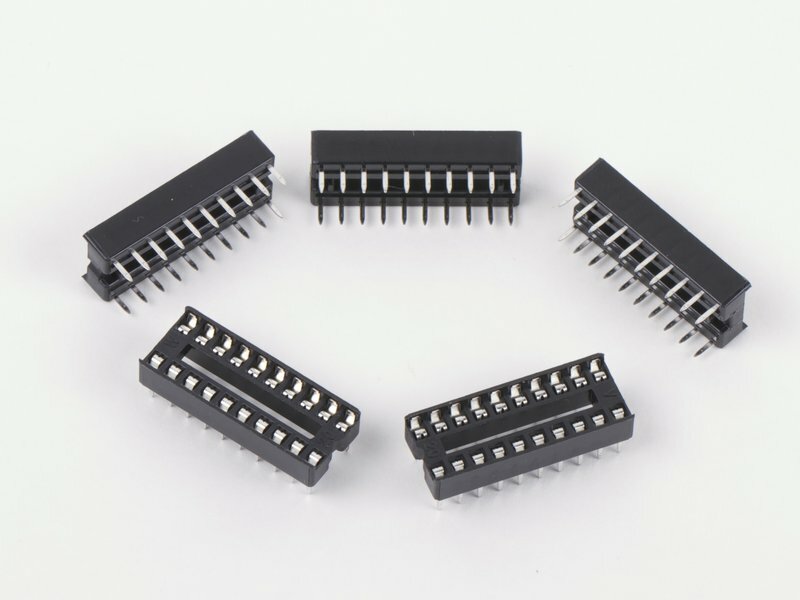 Standard 20-pin solder-tail sockets for through-hole integrated circuits (or similar components) in DIP (dual-inline) packages. 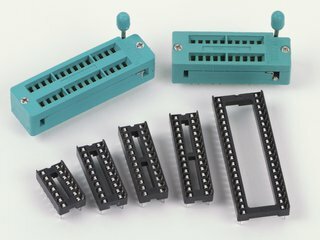 0.1 x 0.3" pin spacing. 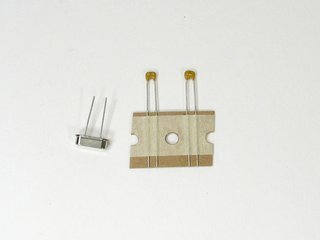 Tin-plate finish, RoHS compliant. 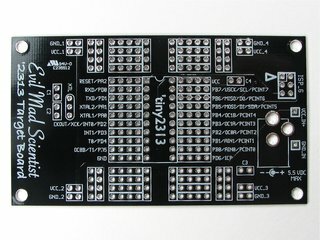 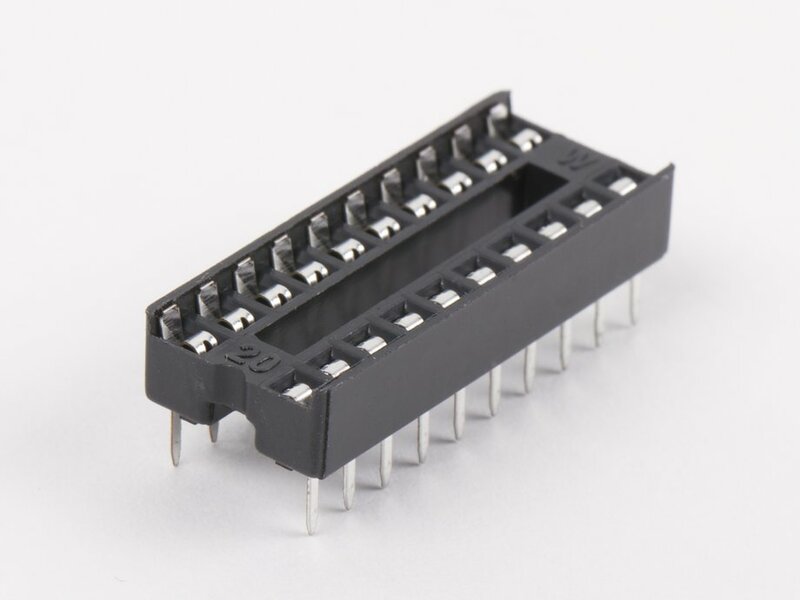 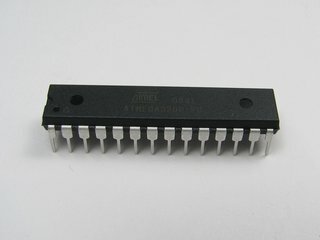 Perfect for ATtiny2313 and ATtiny4313 microcontrollers, amongst others.